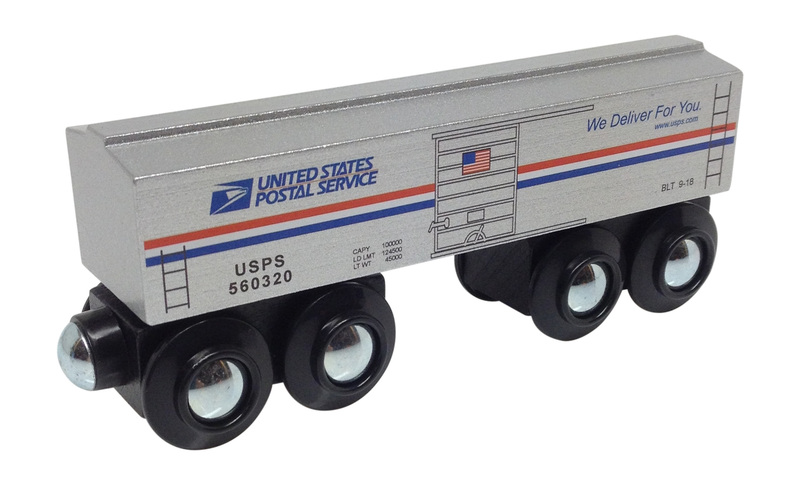 This United States Postal Service boxcar wooden train is dedicated to our "mail lady" who comes by our place of business each and every day to pick up packages that we send out. Rain, sleet or snow, she is there with a smile. She is very dedicated in delivering things that we need each day (besides the bills) and getting you the items that you ordered with the utmost care and timeliness. Thank you Anne! This one is for you and all the postal workers across the country!